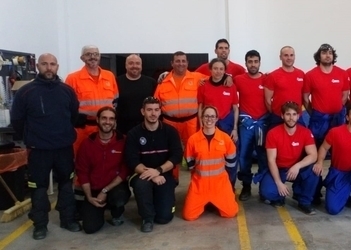 The president's office of the Formentera Council announces the basic firefighting training course has come to a close. Designed to give individuals collaborating with the fire brigade a taste of the realities of work in the field, the training sessions took place here on the island December 10 to 22. Thirteen aspiring firefighters successfully completed the course and competitive process of selection to enter the administration's pool of qualified collaborators. Of that number two have already been hired on by the brigade, which presently comprises seven staff employees, five full-time firefighting personnel and two on-call workers. The crew were called to duty a total of 183 times in 2018. Twenty-five of those actions were fire-related; 14 involved search and rescue and another 26, false alarms; 50 and 68 were the tallies of operations giving technical assistence and preventive help. 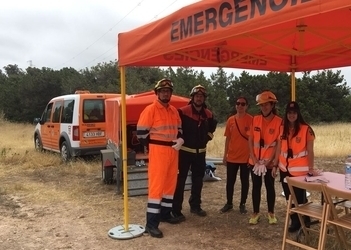 Bartomeu Escandell, secretary of the president's office, said the number of blazes in 2018 had dropped by half compared to the same figure in 2017 and contended the dip had allowed the brigade to boost preventive action such as with buffer zones in wooded areas like la Mola. In high fire-risk parts of the island, so-called “mobile forest patrol routes” are another feature of service receiving the brigade's increased attention. The past year came with four blazes in areas of vegetation that affected 70 square metres — compared to approximately 30 hectares incinerated in 2017 as a result of the three wildfires in Cala Saona. Another important piece of news this last year was the Balearic port authority's hand-off of a six-person, water pump-equipped light lorry with capacity for 1,800L, is designed both for fighting fires and lifesaving and rescue operations. At the moment the brigade's mobile corps is composed of two rapid response vehicles (both pickups), a heavy lorry for rural operations and a light lorry for urban ones. The president's office of the Formentera Council reports that at roughly 7.00pm on Sunday the island's emergency apparatus was activated when a 112 caller alerted the authorities that a 90-year-old man had gone missing in the area of sa Talaiassa. The man had gone out walking at 5.00pm and had yet to return home, leaving his family quite worried. A search-and-rescue plan was immediately put in motion that involved a dozen Civil Protection volunteers, a pair of two-person Guardia Civil units, two members of the Council fire brigade, and a group of a dozen relatives, friends and acquaintances that took to the man's usual walking routes in an effort to locate him. Shortly before 8.00pm a group of Civil Protection volunteers and a canine helper picked up the man's scent and located him near camí des Ram. Formentera firefighters took charge of transporting the man, conscious and in good health but for a case of the chills, to hospital. This is the second search operation in the last week on Formentera. Last week another person went missing in es Cap. The two operations have proven the Civil Protection forces to be a large, fast-acting corps of volunteers capable of collaborating with the island's other emergency response teams in giving islanders and visitors a quality, not to mention altruistic and professional, service. When the Formentera Council celebrated its December plenary assembly today in the conference hall of the dependent care facility, the session featured definitive approval for the island's “Sustainable Mobility Strategy” (Pla de Mobilitat Sostenible). 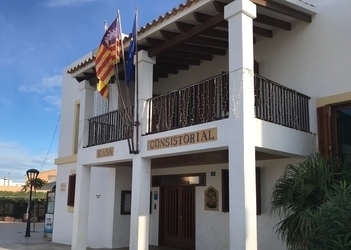 Mobility councillor Rafael González described the action plan, now on track for a 2019 rollout, “as a roadmap guiding how Formentera residents will get around on the island over the next several years”. “The steps we're taking now are bringing us closer to sustainbility”, said the councillor, “and improving the island for islanders, but our task is also to ensure our visitors see those differences that set us apart from other destinations”. The new plan strives for a landscape in which cars relinquish some terrain in order to favour other more sustainable kinds of mobility like bycicles or public transport. Today's session came with cross-party support for a proposed land-use deal whereby property owners, who expressed their buy-in as well, will hand over portions of land to the Council for public use and municipal equipment. Plans are in place for the 775m2 plot, which has a development potential of 1.2m2 per metre squared and is zoned for 60% occupancy on the ground and first floors, to be used by the Balearic housing authority (IBAVI) for low-cost public housing. 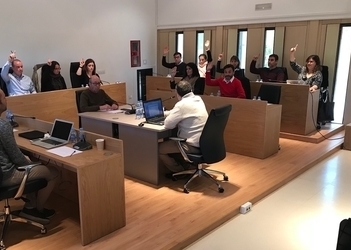 Also securing unanimous support were measures from the Gent per Formentera (GxF) cabinet about taxi fares and ratification of nominations for representatives and stand-ins for the various sections of the Consell d'Entitats. Winning the support of GxF and Compromís despite failing to secure conservative backing was a Socialist measure concerning Formentera's adhesion to a bike-friendly city project encouraging Madrid to update national ordinances in urban spaces so that the default speed limit is 30K/h. The project is headed by a group called “Network of Cities for Bikes” (Red de Ciudades por la Bicicleta). 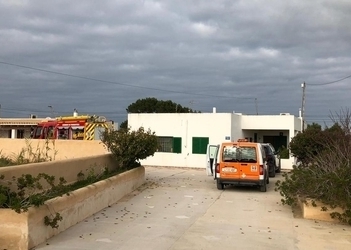 Formentera firefighters were called into action Thursday to put out a small fire in a single-family dwelling in Porto Saler. 112 notified the brigade of the flames, confined to the home's chimney, shortly before 3.00pm. A three-man crew riding in the fire engine was joined by two local police and a number of civil protection officers. The first responders came on the smoke-filled scene and proceeded, though not before verifying no injuries were suffered nor serious damage incurred, to air out the residence. When the chimney cooled, a decomposing bird carcass was removed that had hindered proper ventilation, led to stray sparks in the duct and obstructed the flue. The operation was completed within twenty-five minutes after the call was received.